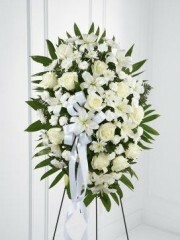 The Special Funeral Tributes which Ellon Flowers are able to offer truly live up to their name. 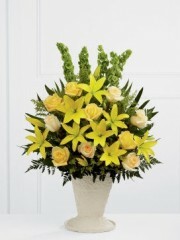 The exquisite detail which goes in to each of the tributes means that they are truly worthy to commemorate a loved one. The florists in Ellon have over 40 years of experience in the industry, meaning that your order will be crafted with a precision and skill which is difficult to find elsewhere. The special tributes which we have on offer are so varied in style and design that it is possible to find something for all tastes. The Flowers Ellon business is able to provide a fantastic local delivery service in Ellon and the surrounding area, guaranteeing that your order will be delivered safely and carefully. As part of the Interflora brand the Ellon flower delivery service is not limited to Ellon, but can actually deliver flowers to a huge range of locations across the UK. Distance isn’t an issue with the Interflora brand, as we are also able to deliver funeral flowers or any other order internationally, as we can deliver flower to 140 different countries across the world. Therefore, just because your flowers are ordered in Ellon does not mean that they are in any way limited to the local area. 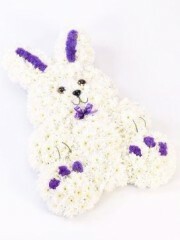 This is a service Ellon flower delivery is proud to provide, as we realise just how important funeral flowers are. Our team will oversee your order diligently until it has been safely delivered. Our team are incredibly friendly, so you should feel free to contact us at any time should you have any queries, either concerning your order or in general. The expertise of our florists in Ellon is one they are willing to share, so should you desire any advice concerning your special funeral tribute they would be happy to help. 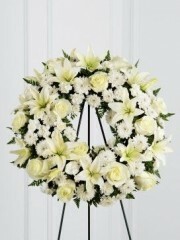 Trusting Ellon Flowers with your funeral is a great decision, as we will treat your purchase with the utmost care. 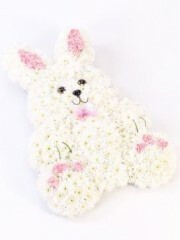 The magnificent special funeral tributes by Ellon florists are a thoughtful addition to any funeral or wake. From personalised messages to religious symbols, Ellon Flowers can provide whatever you may be looking for. We can offer funeral flowers in a variety of different coloured standing sprays, which are sure to make a graceful addition to any funeral proceeding. 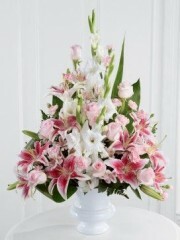 For instance, our contemporary standing spray composed of red roses, gladioli and aranthera orchids amongst other flowers, makes a truly unique memorial. Flowers Ellon can also offer special tributes in shapes of teddy bears, open books, anchors or butterflies to name but a few. All of our special tributes are delicately hand crafted to allow you to add a truly unique and personal touch to any funeral. 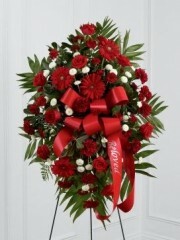 These special tributes make thoughtful and touching decorations to any funeral service or wake. The individuality of their design and high quality means that Ellon Flowers are confident that these funeral flowers are a great choice. The service flower arrangements the florists in Ellon can provide in a range of different colours to add a striking touch for any funeral proceeding. 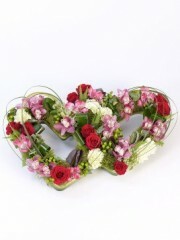 The Ellon flower delivery service ensures that we can get your funeral flowers to you in pristine condition. If you are looking for a reliable and efficient service, look no further that Ellon flower delivery service for all of your funeral flower needs.